At £55 this dress isn’t bad in terms of price. I think it’s definitely worth it, as it fits really well. I was worried it was going to be a little short but it was longer than expected. Looks great either with natural or black tights (or bare legs for the brave!) The stitching on the front down either side is really flattering and gives further shape to the dress and the wrap over front with slight ruching is flattering on the stomach area. The v-neck is perfect, not too low! I didn’t know until I got it but there are also shoulder pads which add a bit more edge to the dress. Also with no zip, there’s no worry about sequins catching. All in all I give it a 10 out of 10. I plan to wear mine with simple black accessories because the dress gives enough of a statement on its own. 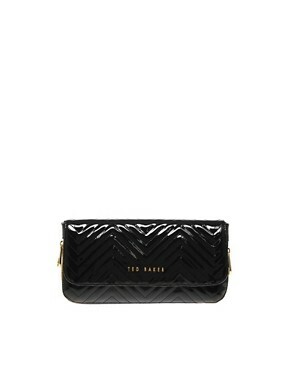 Try teaming with patent courts and a black clutch for a sophisticated look.